Wondrous Nature vol 1 Butterflies and Moths has 24 original drawings spaced out every other page, so if you want to cut out a image to frame or hang on the fridge, you can without damaging the other images in the book. So that's 50 pages all together! Purchase Wondrous Nature vol. 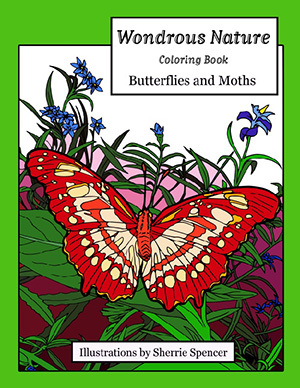 1 Butterflies and Moths Coloring Book!